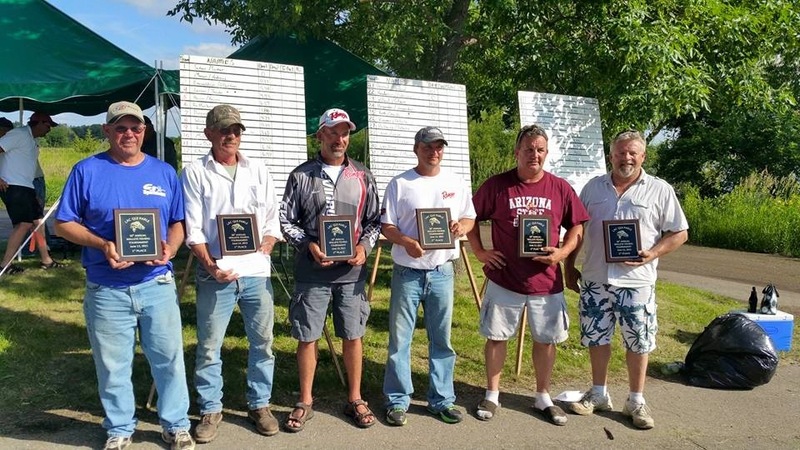 On Saturday, June 13th, the 36th Annual Lac Qui Parle Lake Association Walleye Tournament was held on Lac Qui Parle Lake. 60 teams competed for a top prize of $2200. The weather was perfect for the tournament with 5-10 mph winds and overcast skies which later turned to sunny skies. Anglers reported catching nice fish all week pre-fishing and that proved to be true again today. 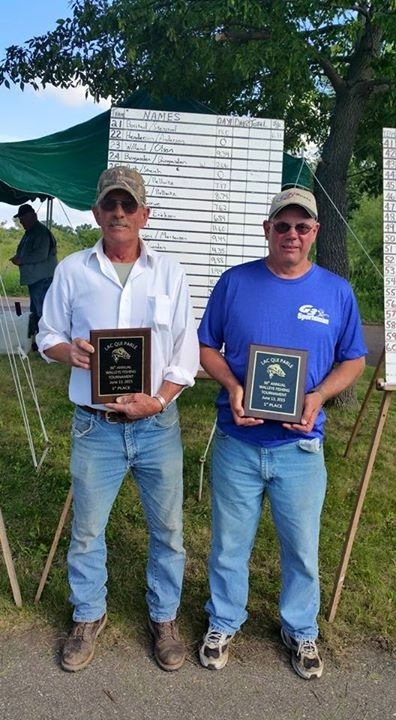 Top honors went to Wayne Stensrud of Madison, MN and Russ Borstad of Madison, MN with a winning weight of 18.0 pounds. In second place was Carey Johnson of Russell, MN and Adam Dero of Marshall, MN. They brought a basket to the scales that weighed 15.82 pounds and the second biggest walleye of the tournament a 7.54 pounder. Third place went to Tim Judovsky of Madison, MN and Kelvin Weber of Madison, MN. They had a 5 fish basket weighing 15.74 pounds. Isaac Pauly of Arlington, MN and Jake Rewarts earned fourth place with a weight of 15.58 pounds including the big fish of the tournament, a 8.01 pounder. Dylan Lines of Montevideo, MN and Nik Lines of Watson, MN rounded out the top five with a weight of 11.60 pounds. A Big Thank You to tournament director Pat Joyce, as well as Andy Johnson and Nick and Marcia Golden for all there work during the tournament. We would also like to thank all the participants of the tournament for your continued support.